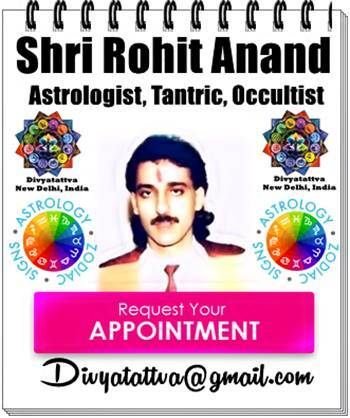 Astrological Benefits & Uses of Yellow Sapphire Gemstone or Pukhraj in Vedic Astrology, Natural Yellow Sapphire Stone Prices and Method of Wearing Yellow Sapphire by Famous Vedic Astrologer Shri Rohit Anand, New Delhi, India. 💎Yellow Sapphire Gemstone or Pukhraj : Yellow sapphire is a precious and costly gemstone and is worn for planet Jupiter according to Indian astrology. This precious gemstone is said to bring luck, money, prosperity, wisdom, positivity, abundance, wealth and success. When yellow sapphire is worn as a ring or pendant the positive vibrations of planet jupiter is absorbed by a individual in its aura giving him much energy and positive frame of mind in few months. Many bollywood celebrities are said to wear the precious stones recommended to them by their astrologers. Some of the famous bollywood stars that wear gemstones are Amitabh Bachchan, Priyanka Chopra, Shilpa shetty, Aishwarya Rai Bachchan and Salman Khan etc. 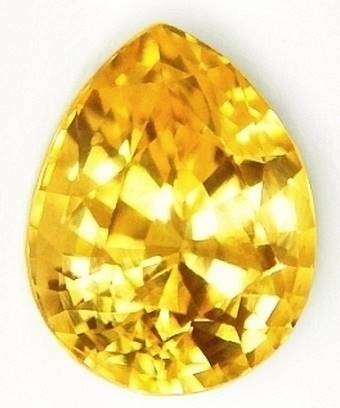 Astrological Benefits of Wearing a Yellow Sapphire : It brings wealth, money, reduces stress, itches, headaches, improves marriage prospects and relationships, cure liver problems, strengthen immune system, cures infertility, helps in jaundice, obesity, hernia, gout, joint pains, kidney problems, bring luck, fortune, spiritual knowledge and prosperity. Pukhraj or Yellow sapphire is also known to remove delay and obstacles in the marriage path of the females, boost the chances of stability post marriage thereby bringing marital bliss to women. Planet : Jupiter or Guru or Brihaspati. Astrology Zodiac Signs Ruler : Sagittarius and Pisces. Yellow Sapphire Colors: Yellow, Light Yellow, White, Lemon yellow, Sunshine yellow. Other Substitute semi precious stones : Yellow Topaz, Citrine or Sunela. Mineral Hardness : hardness on Mohs scale is 9. Gravity is 3.99 to 4 and the range of refractive index is 1.760-1.768. Places Found : Russia, Australia, Burma, Thailand, Cambodia, Srilanka, Rhodesia, Zimbawe, India. 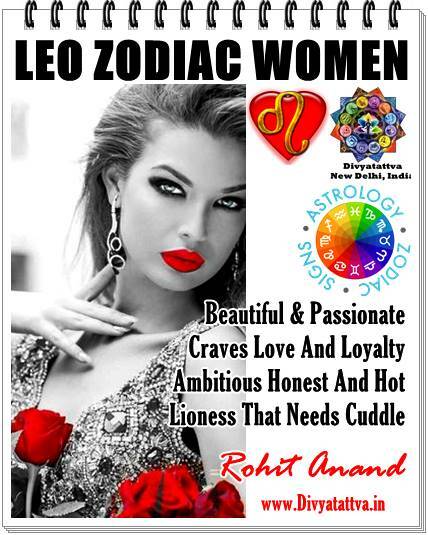 Associated Months in Western Astrology : . Mineral Constituents : Aluminium oxide AL2O3. Carat Recommendation : Fom 3.25 carat or ratti to 15 carat or ratti. Price Range of Yellow Sapphires : INR Rs. 800 to 8000/- per carat standard grade, Fine Grade quality pukhraj rate ranges from Rs. 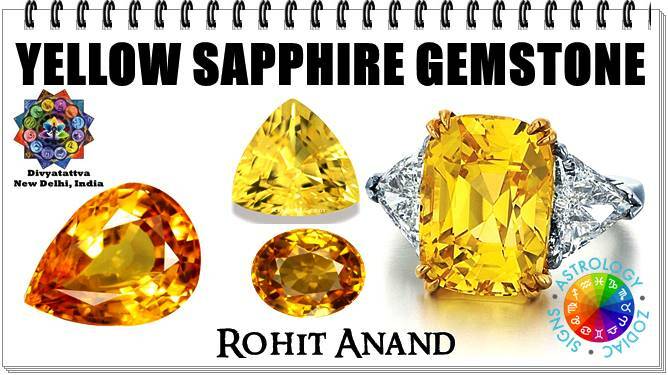 2000 to 3500/- per carat and Premium quality yellow sapphires rate ranges from Rs. ₹ 25000/- per carat and above. Pukhraj Recommendation : Only to be worn with strict guidance of Vedic astrologer not otherwise. Wearing Yellow Sapphire or Pukhraj Ratna : Gold element is mostly recommended by astrologers for wearing yellow sapphire as a ring or in a pendant but panchdhatu can also be used. Yellow Sapphire ring should be worn in the index finger or right hand for most people as the mount of Jupiter is located at the base of the Index finger. The yellow sapphire gemstone is related with the planet Jupiter or “Guru”. Therefore, while wearing pukhraj precious stone ring or pendant, a person should recite this mantra for 108 times: “OM GURUVE NAMAHA” but there are other mantras also that can equally be good. In How many days yellow sapphire shows its Effects ? Well it may take 1 month to 3 months for a gemstone to give its effects on the aura of a person and life of a individual if worn properly in auspicious date after energizing it. Yellow Sapphire Gemstones for Sagittarius. For the Sagittarius (Dhanu Rashi) Ascendant in horoscope, Jupiter is lord of the Ascendant and the fourth house. Native can benefit a lot if a professional astrologer recommends this gemstone after indepth analysis of a horoscope & in context of issues concerning the person. Wearing yellow sapphire would bring charm and dominance through the gem while wearing it along with the Ruby would take the person towards more heights, prosperity and abundance. Yellow Sapphire Gemstones for Pisces Ascendent. Jupiter rules over the 10th house in a horoscope, and if a experienced astrologer recommends this precious stone after indepth study of birth chart that pukhraj will benefit in its dasha or in context of reasons for wearing it, it can bring spiritual advancement, wisdom, knowledge, Education, professional success, huge wealth along with prosperity, job and help in career. Yellow sapphire can be highly auspicious for the natives especially if Jupiter is in his own sign in the Ascendant or the tenth house in the kundali.